16-inch x 46-inch Fakro EL Skylight Step Flashing - ENERGY STAR® The Fakro EL step flashing is ideal for fitting Fakro skylights with slated roof coverings, such as asphalt shingles, up to 10mm thick. 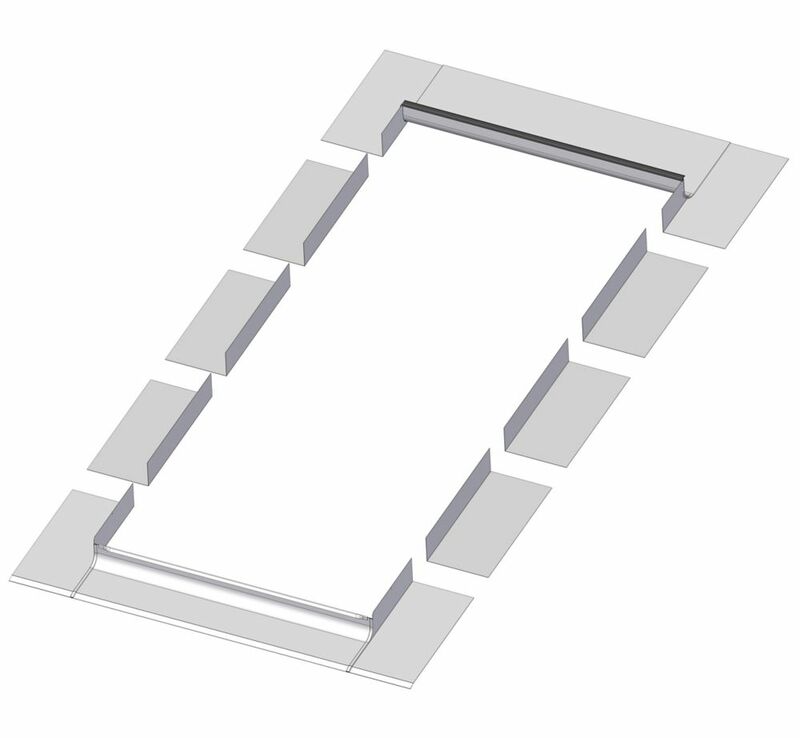 For use with Fakro fixed (FX) skylights of the same size. For high profile material (10mm) such as metal roofs, see Fakro EH-A flashing.